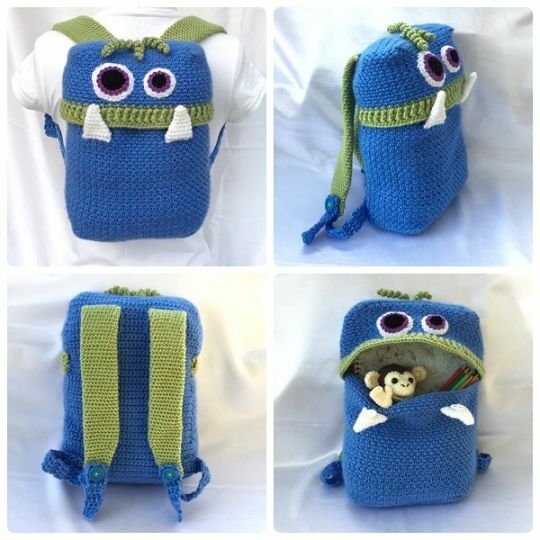 Knapsack Monsters love to gobble up school books and supplies and gladly hop on your back to enjoy a day trip to school! Approximately A4 size with adjustable straps. Cute! I almost wish my kids were little again.